If 2012 is anything to go by, find a seat and get comfortable when Novak Djokovic and Rafael Nadal meet in Sunday's Australian Open final. Seven years ago they faced off in the final at Melbourne Park and the result was the longest grand slam final in history at five hours, 53 minutes. Both players were so exhausted afterward that -- seemingly in an unprecedented move -- they were given chairs during the trophy presentation. Djokovic won that day and even with Nadal's glittering form this fortnight, the top-ranked Serb enters their tantalizing 53rd duel as the favorite. "I would definitely want to buy the ticket for that match," Djokovic told the crowd. World No. 2 Nadal booked his passage into the last stage Thursday evening by crushing 20-year-old Stefanos Tsitsipas while Djokovic progressed Friday evening by similarly dismantling maiden grand slam semifinalist Lucas Pouille of France 6-0 6-2 6-2 in a quick fire one hour, 23 minutes. "I think that this final comes at the right time for both of us," said Djokovic. "I'm sure we're going to have a blast on the court. "We can promise one thing, and that's knowing both of us, that we're going to give absolutely everything out on the court. I think people will enjoy it." Overall Djokovic has won eight of his last 10 matches against Nadal, the two blips coming in a phase when the 31-year-old was out of form. He holds a 27-25 record against the 32-year-old. Outside Nadal's stronghold of the French Open, he has not beaten Djokovic at a major since the 2013 US Open final. Djokovic's stunning five hour, 15-minute victory over Nadal in last year's Wimbledon semifinals proved to the defining men's match of 2018. "That was the match that has mentally turned things around for me mostly," Djokovic said. A day later Djokovic downed a fatigued Kevin Anderson in the final to snap his two-year grand slam drought -- even if not tired, the South African would have entered as the hefty underdog -- and backed that up by triumphing at the US Open to reach 14 majors. Should he prevail Sunday and land a record seventh Australian Open crown, Djokovic would move to within two majors of Nadal. Meanwhile if Nadal wins, he would move to within two of men's all-time leader Roger Federer. For Pouille, it is too close to call. "I think when Novak is playing like this, yeah, he's the best in the world for sure," Pouille told reporters. "We'll see on Sunday how he goes, because Rafa looks pretty amazing, too. I think they're going to make a great match again." 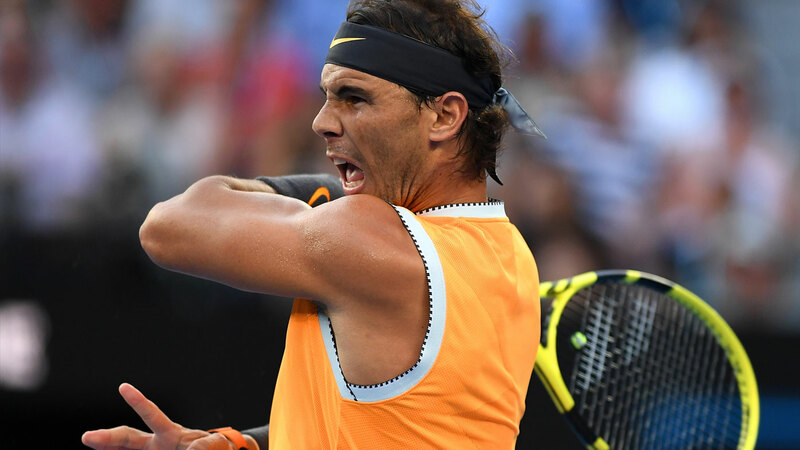 Nadal has yet to drop a set this Australian Open and Djokovic now looks to be in stellar form too following hiccups against flashy Canadian Denis Shapovalov in the third round and the lanky, gifted Russian Daniil Medvedev in the fourth. The latter was a physical match, so Djokovic certainly didn't mind when quarterfinal opponent Kei Nishikori retired with a thigh issue in under an hour. A rested and recovered Djokovic then pummeled the 24-year-old Pouille. The 28th-seeded Frenchman -- coached by Andy Murray's former coach Amelie Mauresmo -- taking Djokovic to deuce in the first game of the match was the best it got for him. Pouille was quite simply overwhelmed by the relentless baseline pressure from Djokovic, who coupled 11 winners with a solitary unforced error in the opener. 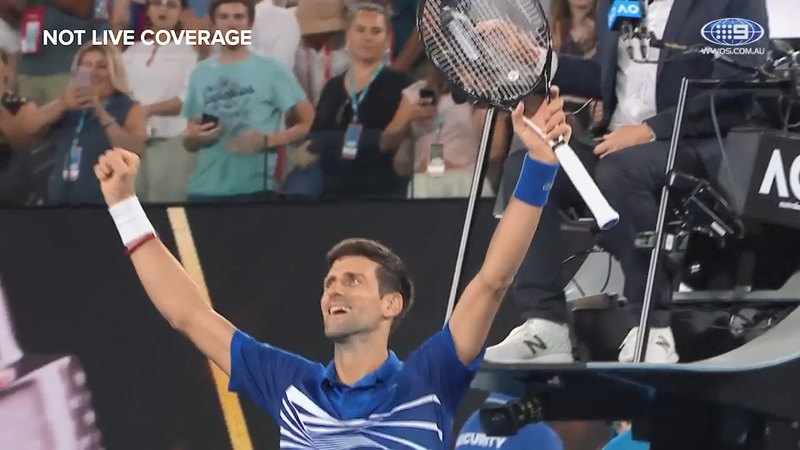 By that time the temperature in Melbourne dropped from a high of 43 degrees Celsius to around 25, a boost for both men but especially Djokovic, who has struggled in intense heat in the past. Djokovic only slightly diminished in sets two and three. "When he's like this, yeah, he's unbelievable, and not so many players can beat him for sure," said Pouille. "Maybe one or two." Such was the one-way traffic it resembled another Australian Open semifinal where a Frenchman was blown off court. Federer routed Jo-Wilfried Tsonga in one hour, 28 minutes in 2010. That, too, was a Friday night affair. Hardly the outing Tsonga wanted heading into the weekend. For most tennis fans, though, a Djokovic-Nadal final is probably -- after Federer's departure in the fourth round -- exactly what they were hoping for.